Meet Bella! I had the unplanned privilege of hosting Bella last night at my home while we were trying to find her owner. She wandered about two miles ( we think) from her home through the woods and next to a lake. It took her the rest of the night to calm down and rest – she wouldn’t eat or drink and that much exercise was pretty tough for her to say the least. During her stay at our house, I realized how much I missed having my own pet, and being able to project my own love and care toward something like a pet. In a previous life, I had an orange tabby cat named Lucky. Much the same story as Bella, but he was born into the home where I was staying at the time. Not such a sweet disposition as Bella, but he was just Lucky. Lucky didn’t get much attention from the other home dwellers and was often bullied by them. But he and I got along just fine. I still miss Lucky. Lucky’s ending isn’t happy, and he passed away much sooner than he should have, and that was a very hard day for me. And with only spending a few hours, roughly one day and a half with Bella I starting getting attached to her very quickly. Belle’s story has a much happier ending though. We put up flyers around the neighborhood where we think she came from and we found someone who thought they knew the owner. So we left the dog with the neighbors. 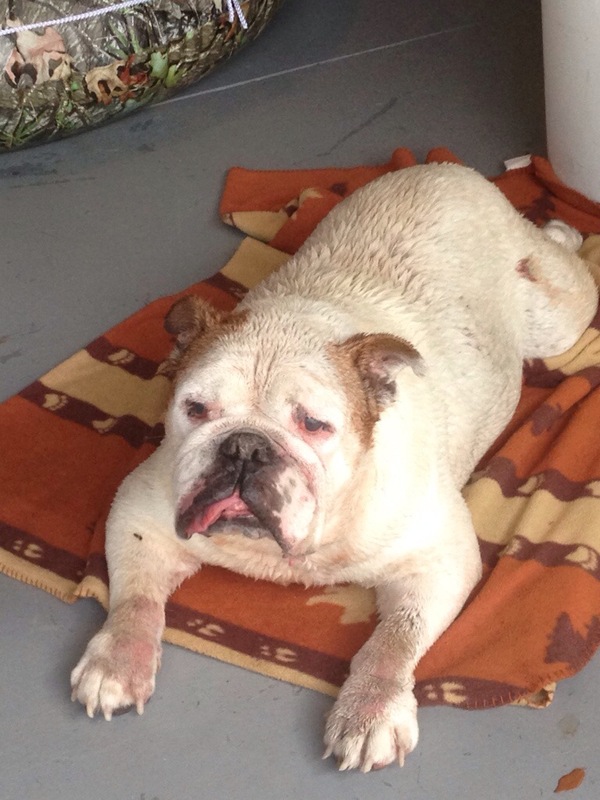 Unfortunately the potential owner’s English Bulldog passed away last March. So, the neighbors took her to the county animal shelter the same day we left her with them. Almost a week passed before we knew any of this, and the potential owner never contacted us to say anything about the dog. So we decided to go back to the potential owner’s house and see for ourselves. The neighbors decided not to take the dog back the potential owners once they found out from another neighbor that the “real” Bella had passed. So after I rang the doorbell, and asked the potential owner how Bella was doing, she was very confused. She gave me the story about her Bella, and I gave her the story about mine. Not a comfortable conversation once I learned the real Bella had passed. So, what now? I queried the family that took her that one day, and they gave me the whole story. I shared that with Bella’s owner and she set out to find out where this dog is, or was going to be. She was transferred to a rescue shelter because of some health conditions she had, but was also placed on an adoption list, which Bella’s owners are at the top of. We’re hoping this Bella can connect with her new owners so everybody wins in the end.